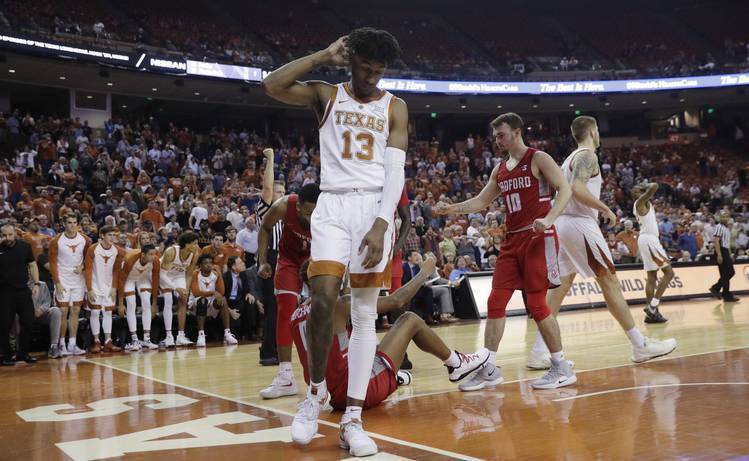 One week after earning the highest ranking in coach Shaka Smart’s four seasons, the Texas men’s basketball team was dropped from The Associated Press Top 25 poll. Yes, last Friday’s 62-59 loss to Radford was that bad. It was the Highlanders’ first win over a ranked opponent in the program’s 35-year history. Texas was 17th in the AP poll. The Longhorns shot almost 35 percent from the floor and went 5-for-27 from 3-point range. It was a total reversal from the performances shown in wins over Arkansas and North Carolina. Smart said the team had a detailed film session Sunday. The Horns can’t afford to feel too bad. Texas (5-2) hosts Virginia Commonwealth (6-2) at 7 p.m. Wednesday at the Erwin Center and then Purdue on Sunday. Smart coached VCU for six seasons before coming to UT and led the Rams to the 2011 Final Four.